The club was founded in 1971 and is registered by The Kennel Club. We have a dedicated and enthusiastic committee who run the club on a purely voluntary basis. 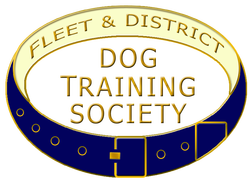 All proceeds from courses and ringcraft are used to run and maintain the club, and we make substantial donations to dog charities too. The society also organises social events including quiz nights, bring and buy sales, professional photoshoots and the ever-popular Christmas party. These take place throughout the year to raise money for our chosen charities, which for 2018 are Cinnamon Trust, Canine Partners and Medical Detection Dogs.